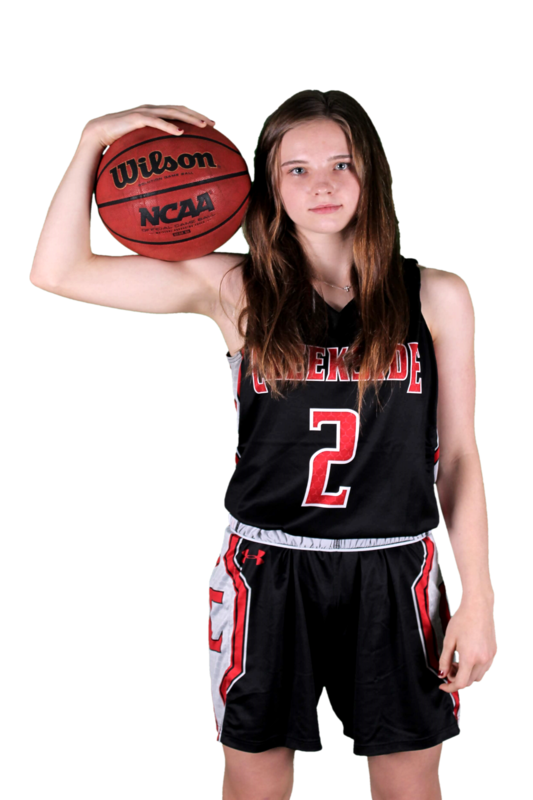 Calea Kellett came off the bench to score a game-high 18 points for Creekside (11-5, 4-1 District 4-8A) on Tuesday night at home. Taylor Gardner added 11 points for Creekside, while Maddy Lippy scored nine and AnnaRose Epting had seven points and five steals. Dejah Oden led Oakleaf (3-4, 0-4) with 12 points. Creekside hosts Gainesville Buchholz on Friday at 7:30 p.m. 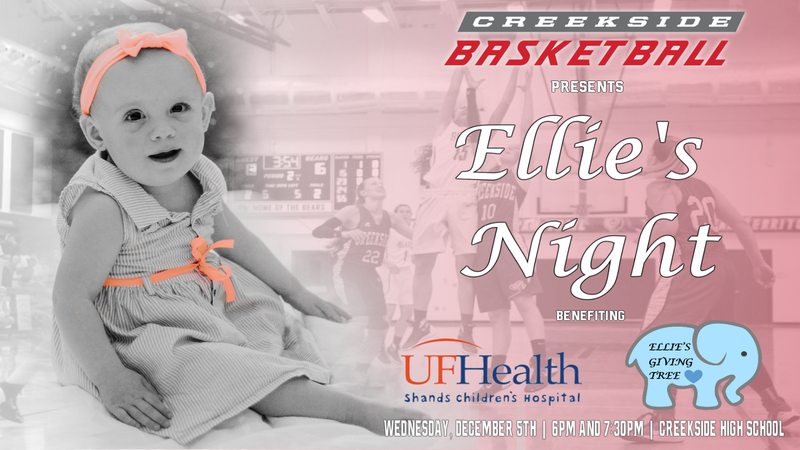 The Creekside Girls Basketball will be hosting “Ellie’s Knight” on December 5th for their game vs. Nease High School in honor of the Hanson Family. Ms. Hanson, who teaches at Creekside, recently lost her daughter to Congenital Heart Disease. Mrs. Hanson is currently promoting a toy drive to benefit the UF Children’s Hospital Pediatric Cardiac ICU where her daughter spent many of her first days. The PCICU at UF Shands Children’s Hospital cares for patients born with Congenital Heart Disease. Many patients are awaiting a heart transplant, are on heart assistive devices, or are needing some form of critical care from an ICU team due to their condition. The ages of patients range from infant to teen and many stay long-term. The 23 room facility is always full and is expected to be full during the holidays. This is why the toy drive is so important. We want to help make the holidays just a little better for these kids and their families that are there. For every person who brings an unwrapped toy to the game, they will get a ticket to be entered into a drawing for a prize basket at half-time. Please see the attached “wish-list” items to be donated. To purchase your limited edition spirit shirt for “Victory Over Cancer Night!”, please follow the link HERE. The Girls Basketball is starting the “Socks and Seats” drive for the local homeless coalition. Bring in NEW, unopened packages of socks and underwear and you will receive a donation from Emily’s Edible Creations as well as a raffle ticket to win some cool prizes! 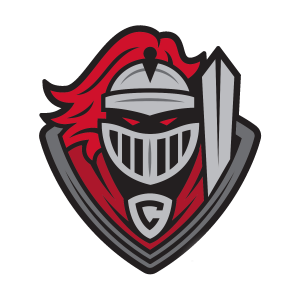 As winter sports season quickly approaches in the high school world, a spotlight is on the reigning state runner up, Creekside Knights basketball team. Coming off a very strong year, the Knights fell just short of the school’s very first state title in basketball. However, a motivated Knights team, coached by William Mayer, looks to continue their winning ways. The road will be tough though, after losing 8 seniors to graduation including star point guard, Jay Plummer. Going into this season, the Knights are a young team with only 2 seniors on the squad. With the new look Knights, there is still plenty of Division 1 talent on the team. 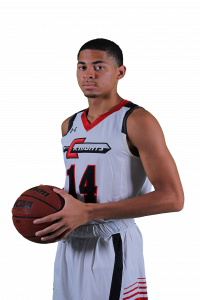 Perhaps the most talented prospect, Junior Michael Phillips, has asserted his role as a leader on the team. Michael is being recruited by the University of North Florida along with several other schools. With this type of talent on the team, they have a good chance to have another superb season. This team will have to play harder than ever before to stay as one of the elite basketball teams in the state. But with the grit and determination, anything is possible. When Coach Mayer was asked what his expectations were for the season, he said, “I think by February we could be a pretty good team… but due to the team being so young, we’re going go through some growing pains at certain points in the year”. This is normal for a team trying to rebuild. But with Coach Mayer at the helm, the ream team will be ready to reach their goals, which are no different than previous years. Mayer asserts that he “wants to play in the District Championship Game which could give us a chance to win a championship.” The Knights look to continue playing entertaining, hard fought basketball games this season and with the coaching and dedication exemplified by the team, there’s nothing that’s going to get in their way! 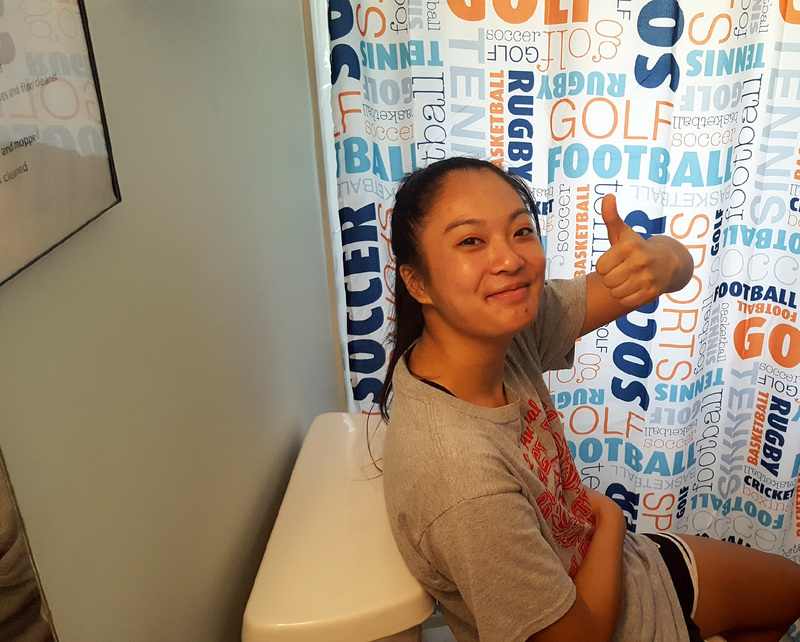 In addition to the Boys Basketball team, the Lady Knights are coming into the season with many returning players and high hopes for their squad. Led by Senior Anna Rose Epting and Sophomore Taylor Gardner, the team looks to be on their way to a great season with much experience and numerous leadership figures. A team with confidence like this looks to take on the challenges this season after a disappointing performance last year. The Lady Knights went 10-17 in 2017-2018 after having a 20-win season and a trip to the FHSAA playoffs the year before. “I think we have the talent to win districts and that’s what our main goal is,” said Taylor Gardner about her aspirations for the team. 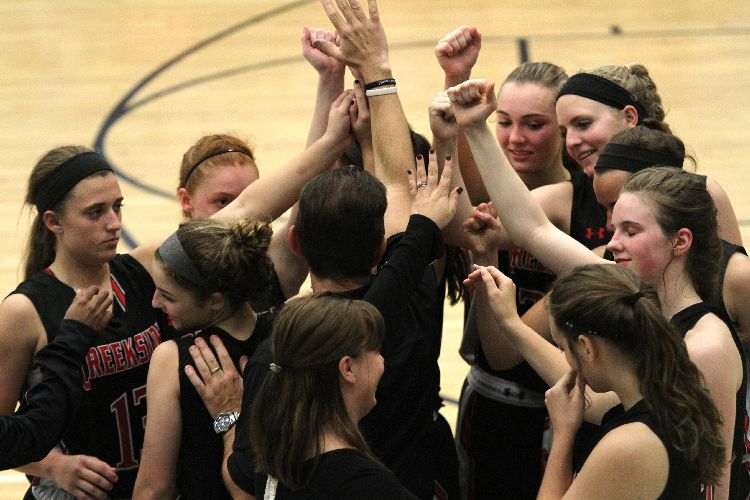 The Lady Knights will be ready to take on any and all challenges and the will to win will get them a long way. The Lady Knight should put on a show offensively as they have a very good core group shooting around the perimeter as well as their uncanny ability take the ball to the bucket. This will prove to be very difficult for teams to stop and result in more in the win column! This season is going to be very entertaining for both girls and boys basketball teams and they each have the potential to perform at very high, competitive levels. The teams will be showcased at Midknight Madness tonight starting at 5:30pm. In this exciting opportunity, both teams will have intrasquad scrimmages along with performances from cheer and dance as well as food, fun and games! Come on out to support your Knights Basketball teams! 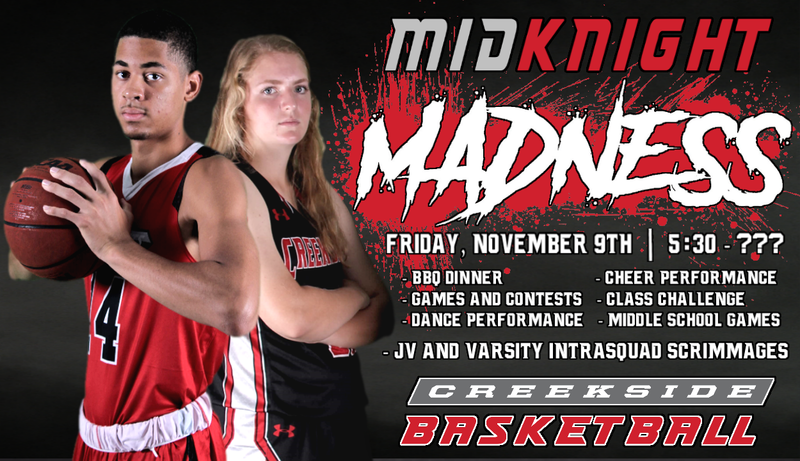 On Friday, November 9th, Creekside Boys and Girls Basketball hosts the annual “MidKnight Madness” at Creekside High School. In this exciting opportunity, both teams will have intrasquad scrimmages along with performances from cheer and dance as well as food, fun and games! 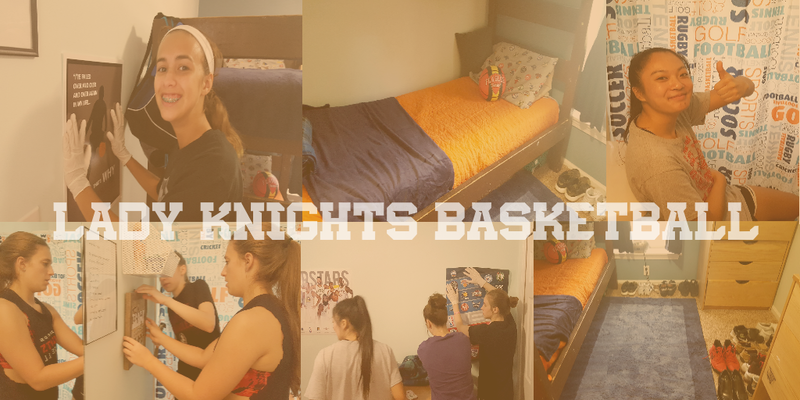 The Lady Knights Basketball Team’s was proud to participate in a special, service project with St. Johns County Cares and St. Augustine Youth Services on October 7th. 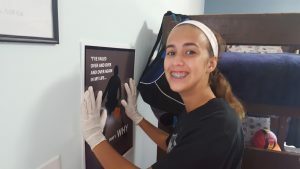 Recently, Head Coach Wade Cashwell was contacted by Meg Balke at St. Johns County CARES with a great service project for the team to assist Chelsea Reppin of St. Augustine Youth Services (SAYS) to revamp a boys bedroom for ages 13-17. 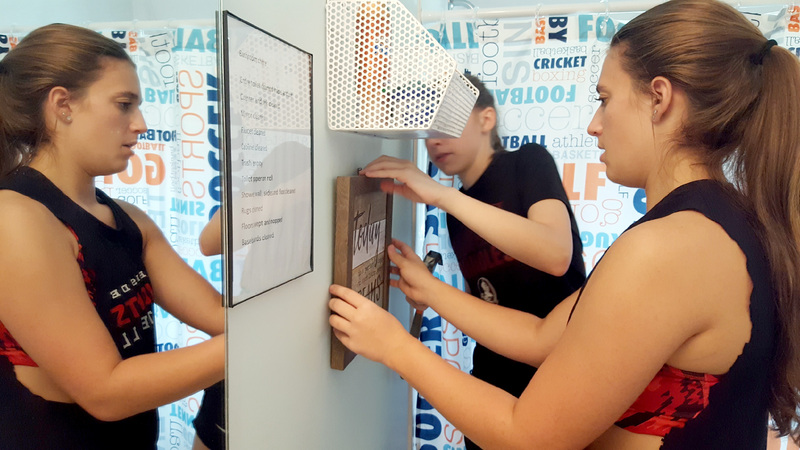 Coach Cashwell said this project “was a great opportunity for us” and he enjoyed coaching the players through the projects planning and designing process. 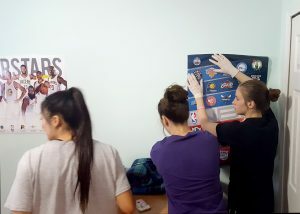 Naturally, the girls chose to custom design a boys room in a basketball theme. 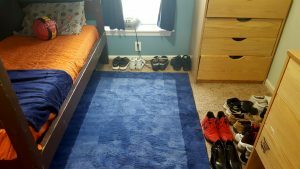 The girls gathered and supplied the following decorations: twin bed linens, window treatments, themed wall decorations, area rug, throw blankets, decorative pillows, shower curtain, bath mat and shelving. 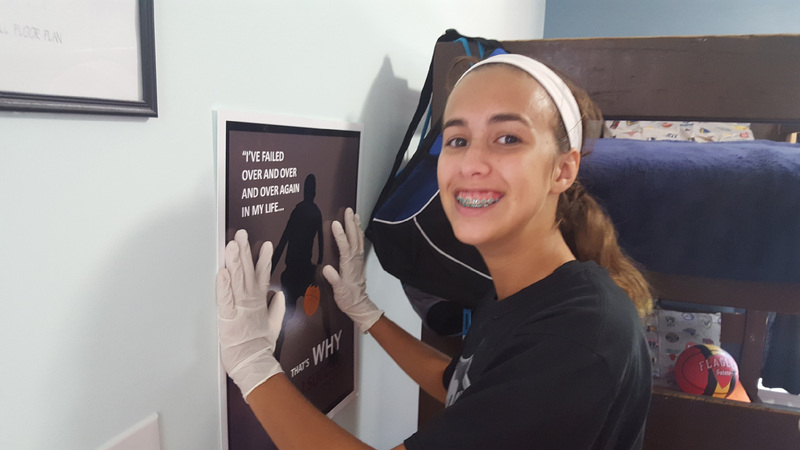 Then on Saturday October 7th, the girls went to work assembling the decorations in the room that had fresh paint, new carpeting and furniture already provided. 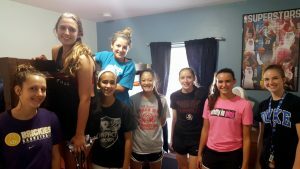 The girls had a ball (pun intended) decorating the room and the boy whose room they revamped told his counselor “I love my room”. SAYS, is a nonprofit organization that provides food, shelter, clothing, education, care and therapeutic treatment to children since 1989. All SAYS children need therapeutic treatment. For most of the boys, this is due to the trauma of abuse and/or severe neglect. Your support of SAYS, helps to build a new home where the children can live, learn, heal and grow in a safe, nonthreatening environment. For more information about says please visit their website at: http://sayskids.org/. Group photo left to right: Anna Parsankso, Maddy Lippy, Hannah Manigot, Annemarie McLeod, Ellie Cowan, Elli Alderman, Taylor Gardener, Anna Rose Epting. 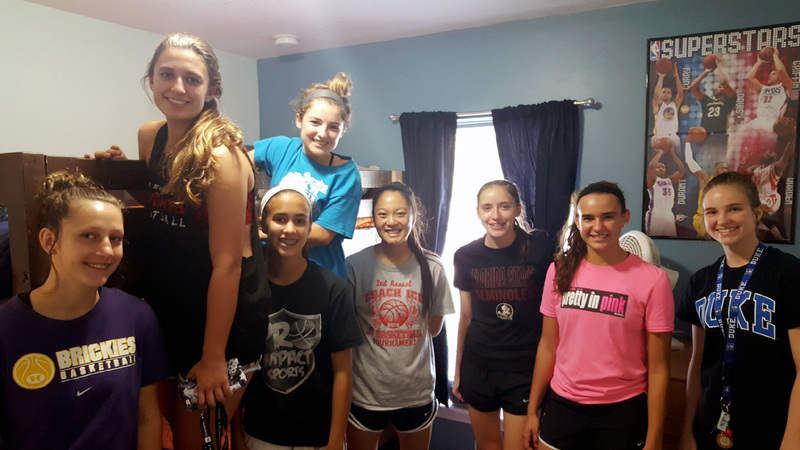 Teammates not pictured that contributed to the project include: Kendall Gracie, Lauren Laughlin, Faith Horn, Allie Anderson and Coach Cashwell.